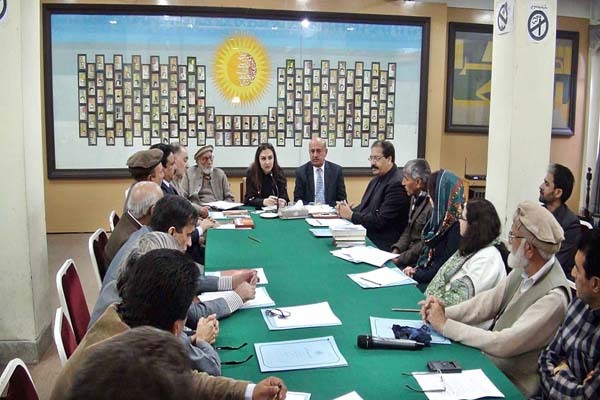 ISLAMABAD, Feb 21 (APP): Chairperson Benazir Income Support Programme (BISP) Marvi Memon Tuesday said the government was committed to promote mother languages as it strengthen social fabric, harmony and unity within the country. (BISP) Marvi Memon while speaking at the concluding session of a symposium on International Mother Language day, says a press release. She said the government would welcome recommendations from the forum for the uplift of languages. Marvi said it was Prime Minister Nawaz Sharif who approved steps for the promotion of mother languages in PML-N manifesto in 2013. The two day symposium was arranged by Pakistan Academy of Letters (PAL) to formulate policy recommendations for the uplift of deprived languages of Pakistan. harmony and explored the measures to protect and promote mother tongues of the country. of language well understood by the target audience so BISP was engaging writers from all districts to write short stories depicting the life of BISP beneficiaries. an editorial board for the compilation of these stories in form of a book. Marvi stated that this book would be an asset for linguistics as this would be having stories in all regional languages supplemented with translations in Urdu and English. The book would be distributed at national and international forums, hence promoting mother languages. languages across the country as well. The chairperson appreciated the suggestions made by the linguistic experts and seconded the formation of Languages Commission of Pakistan.